Drones — You’ve likely heard about them on the news or seen tech junkies flying them around, but how much do you know about drones? In Jack the Reaper, FBI Special Agent Kim Otto gets a quick and deadly lesson about drones. Which means I did a bunch of research about them and thought I’d share with you. Here’s some of the good stuff a thriller writer pays attention to. The first drones or UAV’s (unmanned aerial vehicles) date back to the thirties where they were tested in the military by the Royal Marines for target practice. Since then they have gone on to serve a multitude of purposes and are finding their way into many sectors including private detective work and the film industry. Advances in technology mean that locations that were previously inaccessible are now within reach. It also means that images and tracking can be done in non-intrusive ways. Whether it be transporting emergency medical supplies to remote areas or tracking endangered species, drones make previously tricky missions feasible without placing personnel in harm’s way. The devices can also be used to survey construction sites, monitor farmland, and catch criminals. In New Zealand, Domino’s Pizza uses drones to deliver pizza. How’s that for service? Amazon is working on creating a delivery system using drones known as Prime Air. Although their drones look like they come out of a science fiction novel I promise you this is real life! In the future you may be able to buy the JORDAN FOX MYSTERY SERIAL BOX SET on Amazon and have it delivered within 30 minutes. Wow! While the majority of drones are used for security and commercial purposes, small drones can be owned by virtually anyone. As with any technology, drones can be used for nefarious reasons if they get into the wrong hands. The more sinister uses of drones are demonstrated in FALSE TRUTH where Jordan Fox finds herself immersed in a world populated by geeks who are flying dangerous drones with deadly intent. 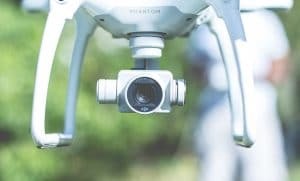 There have been numerous reports of drones being used to spy on neighbors although these claims can be difficult to prove. Some people have gone so far as to shoot drones that they feel are invading their personal space. According to Fox News, a man and his girlfriend were charged for using a drone to spy on their neighbors in private areas of their homes in 2017. The convicted couple were said to have modified the drone so that it would draw less attention. 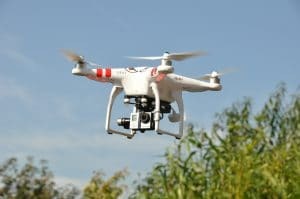 One of the neighbors noticed the drone hovering outside his bathroom window and was able to track the device down and hand it over to the police. Cases like these raise many concerns about privacy and the use of drones. As a result, the government has been updating surveillance and privacy policies to navigate tricky legal situations. Having numerous aerial vehicles in the sky can also pose a safety threat. There have been several instances where drones reportedly interfered with jets. You can read more about the dangers of drones in another blog post here. What do you think about drones being available to the public? Do you remember what a drone delivers in False Truth: A Jordan Fox Mystery Series? And what did Agent Otto do with the drone in Jack the Reaper? Something amazing, I promise! Check it out for yourself: HERE.